How to build powerful connections with VIPs to get one-on-one mentorship, ongoing introductions, and "skip-the-line" access into the private world of unannounced jobs and unrivaled perks. Even if you're an introvert or reluctant about "networking"
"I have learned years worth of material in a few hours just by using the Natural Networking scripts to talk to experts in my industry. I have emailed 10 experts and have talked to 9. Each person gave me great advice to step career to a new level." "I went from 'I don't know what to do with my life' to 'There are not enough hours in the day to schedule all the companies willing to interview with me.'" "I've had a number of coffee meetings with great people in industries completely unrelated to mine. I'm now totally confident in asking friends for introductions and in reaching out to complete strangers." Author of the New York Times Bestseller "I Will Teach You To Be Rich." Check out how this intern got a plum, never-advertised job thanks to a single email... from a friend. Recently, my intern was looking for another summer internship. He asked if I would help connect him to top companies, so we talked on the phone and I asked him what he was interested in. "Tech, mostly" he said to me, and rattled off a list of company names. I told him I'd get back to him in a couple days. 2 days later, I sent him an email. Subject: "You want to work at Twitter?" Subject: Re: You want to work at Twitter? K I have 2 people finding you jobs there. Stand by. That would be really cool. I wasn't sure if they had a NYC office, but I just looked it up and it looks like they just opened one up this month. What's happening in this email? He said "That would be really cool"
I replied by saying, "K I have 2 people finding you jobs there. Stand by." What if you could be in this position? What if VIPs were emailing YOU and saying, "Do you want to work at ___ company?" or "Would you want to go to this private cocktail party?" And then they were mining their personal networks for you? This intern, Kulpreet, was a top performer, so it was my pleasure to use my personal connections to get him a job. And indeed, after interviewing with even more companies I introduced him to, he landed a new position as the first-ever intern at Gawker. Through an introduction that I made for him. This is how the best jobs, perks, and opportunities happen. Scott signed and sent the last piece of paperwork to confirm the internship. That means I'm locked in and starting at Gawker this coming Wednesday. Couldn't thank you enough! What if you could have introductions like this? Access like this? What if powerful people wanted to give you one-on-one mentorship, amazing introductions, and "skip-the-line" access into perks most people don't even know about? Not a pipedream. You can have this. And it has nothing to do with gimmicks, or tricks, or even Top 50 Ways to Dominate The World!! It has to do with something very simple: Building a support group of ten key people -- just 10 -- who look out for you and want you to succeed. We all "know" we should build better personal and professional relationships, so it's odd that most of us decide that building a personal network is impossible. We see these same people getting ahead, making more money, taking vacations -- and it's easy to start resenting them. We say phrases like, "It's not WHAT you know, it's WHO you know." Of course you have to be good. But being good isn't enough. What's the missing piece? What do they know that we don't? The older we get, the more our success depends on our personal network. The people who seem to get effortlessly promoted know that there's more to success than simply getting better at our craft. And to live a Rich life, we need support group of people who've been through it. People who can gently nudge us away from dead-ends and steer us in the right direction. People who are eager to pass on what they learned from their network...to us. Building a support network is a SKILL that you can master. You don't need an Ivy League education, or a $100mm startup. You don't even need 100 people behind you. Just 10 of the right people -- who I'll show you how to find. As we get more advanced -- in our professional life AND in our personal lives -- we encounter more and more complicated scenarios. Surprisingly, it's not our technical skills that matter as much. At a certain point, our "soft" skills become more important than our technical skills! If you're a senior analyst, you can be the best at Excel. But if you can't build a relationship with your co-worker in engineering, it doesn't matter. Being good is not enough. This is where having powerful allies comes in. Think about that phrase, "It's not WHAT you know, it's WHO you know." Isn't it funny that we say that...and then never take the time to actively learn how to build a support network that will look out for us? Why do we read traditional networking advice, get frustrated, and reject the entire idea of a support network? Let's take a look at what most of us think about building a support network -- and then how YOU can get a powerful network of ten people -- just 10 -- who will actively look out for you, even while you're sleeping. The reluctant networker: What's the point when the deck is stacked against us? I actually tried some of the advice -- and quickly decided I never wanted to go through the awkward horror of standing at a "networking" event again, sipping a drink, and escaping to the bathroom to check my phone. Who wants to go to an event where you don't know anyone...and hand out business cards? How does that even help? Why would a VIP want to help me? I don't have anything to offer him. I need to figure things out first, then I'll build a network. As you look closer at the house of cards of networking advice, it begins to crumble. Uhh...so I somehow magically build a powerful network...how? Then what? Tomorrow, next week, next year. Sure, we have friends -- but friends aren't the same as a powerful support network of people who've been through it, who want us to succeed, and who can give us the blunt, honest truth to help us make the right decision. And one day, when we're stuck, we look at our phone and have nobody to call. We're deciding between staying at a job or joining a risky startup. What if the startup fails? What will my friends think? Shouldn't I be making more than John? Mom and Dad paid $50K for me to go to college...shouldn't I get a real job? We're deciding between moving to city A or staying in city B. What if I don't make enough? What if I don't make any friends? Are people even fun there? We have a tricky personal situation. Why won't my girlfriend/boyfriend see it from my perspective? Ugh...she doesn't take criticism very well. This isn't going to go well. What should I say? We've ALL been in these these situations. And as life gets more complicated, we'll encounter even more tricky scenarios. But when we're at the end of our rope, who do we call? Who do we trust enough to give us the honest truth? Now we're stuck, because we didn't build a support network before we needed it. And so we retreat into our own heads, spinning our wheels and thinking of every possible thing that could go wrong...wondering if we should do X or Y...and getting stuck because we don't have any way of making the right decision. Think of the last time where you were stuck in your own head. A bad relationship, maybe, or making a massive decision like changing jobs or moving cities. How did you decide what to do? How many mental cycles did it consume, worrying you, paralyzing you, confusing you? If you'd had the chance to ask someone you truly trusted -- someone who'd been in exactly your shoes, went through the same endless back-and-forth you're going through right now, and then made the right decision -- how comforting would it be to text them and ask them what to do? And every time you emailed them, they started their reply with, "It's so good to hear from you. What a great question. Here's what I did..."
Now what if you had 10 of these people looking out for you? It's hard to relate to Fortune 500 CEOs who eat in private executive dining rooms, take black cars to work every day, and have scores of assistants to help them with every decision. Of COURSE they have a private network of the world's top experts. I'm a middle-class guy from Sacramento, CA. I grew up in a big family of 6 where my dad worked and my mom stayed at home to take care of four kids. I went to a public high school. Yet today, I can pick up the phone and get on national TV...get advice from entrepreneurs who earn $25 million/year...and call the world's experts in marketing, psychology, and health and fitness. I didn't have any shortcuts or secret connections. I read the same material as everyone else. The only difference is I decided to systematically test what worked and what didn't, and like a scientist, I listened to the data. I tried emailing people and taking them out to lunch, and I noticed my own psychological barriers holding me back. "What if I say the wrong thing? Why would they even want to respond to me? These guys are way too busy to talk to someone like me." I tested different email scripts, different strategies, even different things to say when I met them. And I learned what worked and was comfortable, not sleazy. After a while, I enjoyed meeting these people. And because I wasn't awkward, they actually enjoyed meeting me. These aren't just business contacts. They're friends. Ask any successful person what's mattered the most to their personal and professional success. Do you think they'll tell you the brand of car they bought? The type of lunch they eat? Of course not. They'll point to their personal network -- and the people who gave them advice, introductions, and passed along their hard-earned wisdom. Looking back, my network has been responsible for many of the biggest breakthroughs in my career and personal life. Best of all, it's like having an invisible angel on my shoulder. Some people feel safer knowing they can call AAA if their car breaks down, or their credit card to refund fraudulent charges. But for major life decisions, I know I can depend on my support network -- and that they'll always be looking out for me, opening their personal network to me, and giving me advice I can't get anywhere else. Who are we supposed to learn this from? Nobody tells us what to say. Nobody tells us what to do. We don't even know WHO to reach out to! We're left to "figure things out." Why would a VIP want to help us? Is it "cheating" to use personal connections? How do you keep from coming across as pushy and aggressive? Through LinkedIn, by sending random emails, and by attending event after event. This RANDOM approach is what kills us. Who wants to fish in a vast ocean for just one fish, hoping it's the right person? What if you could surgically identify the right people...and go after them in a totally authentic way? Not just to get something out of them, but to build a relationship where they want to help you? The good news is, you don't need to find 100 people. Or even 50. The classic mistake of so-called "networkers" is they try to befriend EVERYONE. And we all know how that turns out: They go to a bar and hand out their business card. As soon as they start talking to one person, they're eyeing the room to see who's next. Their mental script is "more is better" -- so they try to make shallow connections with everyone. When you narrow down your list of VIPs (which I can help you do), you'll quickly find that it becomes MUCH easier to connect. You don't have to waste countless hours meeting random people and praying that a business card turns into a connection. You can take your time, finding the right person, and reach out in a totally genuine way. Better to spend an hour talking to a REAL VIP than an hour shouting "SO WHERE ARE YOU FROM??" with random people at a networking event. And once you make a real connection, you have an "instant network" of THEIR connections. This is very powerful. Who are these 10 people? I'll show you exactly how to identify them -- even if you don't know who they are, yet -- and exactly how to reach out to them. Interestingly, they don't even have to be from your industry! They can be older than you, which is common...but I have people in my personal network who are younger than I am. Just like the example I shared earlier about my intern, Kulpreet, he had ONE connection that made all the difference. He didn't waste his time attending random networking events. He had a VIP connection who was eager to open his network for unannounced opportunities -- and that's exactly how he landed the job of his dreams. We've heard story after story about how building a powerful network can be a true accelerator for living a Rich Life. Yet almost none of us build a support network strategically. So many of us miss out on the very best opportunities for our careers, our relationships, our entire lives -- all because it's something we "know" we should do...but we don't. We get overwhelmed by generic advice and psychological barriers, and we do nothing. For the biggest decisions in our lives, what could be more powerful than having a group of powerful, experienced mentors looking out for you? No support group happens by accident. And this is so important that I created a fast-track, accelerated course on finding your group of 10 supporters using the material that took me 15 years to master. This new online course takes my best insights on building a powerful support network and gives you the most specific, word-for-word scripts, strategies, and tactics to find your powerful 10 allies. Even if you're not already a "success story." Even if you live in the middle of nowhere. Even if you don't know what you want to do with your life. Instant Network moves past platitudes like "Build a network!" into the actual specifics of how to do it. By the first week, you'll have replies in your inbox from VIPs you've dreamed of talking to. And beyond tactics, you'll get a hand-picked selection of my best material on building long-term relationships, reaching VIPs, and even the social skills to have smooth interactions with them over email, phone, and in person. My team painstakingly crawled through over 100 hours of our material to integrate the most impactful, ready-to-use material for you. And then we added to it. If you've already joined one of my courses, you'll get even more out of this. We reorganized and re-engineered the material to make it rapidly applicable (hence, Instant Network). We stripped away anything that would get in your way, and added material that would make it even easier to identify your 10 VIPs, get in touch with them -- bypassing the people crowding their inbox with request after request -- and begin building a long-term relationship where they're delighted to open their network to you. And once you get your first meeting with a VIP who wants to help you -- who wants to open his network to you and share private invitations and opportunities with you -- you'll see how the principles fit together: from understanding the psychology of VIPs when you email them, to using high competence triggers when you meet them, to becoming a more interested and interesting person, so VIPs want to help you. If you haven't been able to afford my top-tier courses before, like Find Your Dream Job, my Instant Network course much more affordably priced to help you tap into the hidden opportunities that most people never see. But if your goal is to tap into the advice and personal networks of VIPs who've been in your exact situation, considered all the alternatives, and made the right choice -- Instant Network can get you more than a meeting with these rare people. You'll learn how to build an ongoing, life-changing relationship. 10 word-for-word email scripts you can use to start networking today, including how to get a VIP to personally respond to you, how to reach out to someone you have zero connections with, and even what to say if you get rejected. "I went from glorified babysitter (High School Teacher of health and physical education) to becoming an Instructional Design Consultant for a big firm that specializes in working with Public Utility companies on the west coast. It's a 20% increase in pay with traveling every other week …and the ability to telecommute on the non-travel days. It was the people I associated myself with, kept in contact with, and the real friendships I made that contributed to landing my Dream Job." "I wanted to send you a note to thank you and to share my success in using your material. It is literally a story of - you said do X and Y will happen, I did X and Y happened….I stepped up the informational interviews with my extended network. I closed the loop….Fast forward a few months, a few more jobs I did not get- and I get an email from this editor that went something like this "So, my assistant just gave his notice. I want you to replace him. What can I do to convince you? I went from not getting job after job to having a job literally given to me." "When I started pursuing my Dream Job (even prior to joining your course), I picked my top three companies: Google, LinkedIn, Facebook. My LinkedIn profile showed I had not a single second-level connection to any of them… As of today, only five and a half months later, LinkedIn is now showing 206 (3 first-level) at Google, 131 (2 first-level) at LinkedIn, and 17 (two-first level) at Facebook (still working on that one). This has all been accomplished while living on the east coast, with all of those people in the Bay Area, and me not knowing a single person in the Bay...In the past week, I've had resumes submitted by internal employees, along with their personal recommendations, at both Google and Facebook." 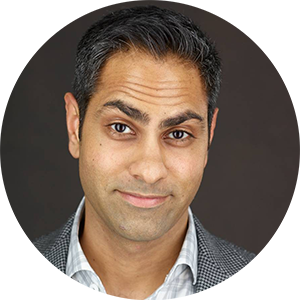 I started reading Ramit's work...specifically about natural networking….after a few weeks I landed an interview at a company that I thought would be impossible to get into…. Despite having no experience, I negotiated a 15% increase in my salary, and was labeled a "top performer" and "high potential" from both my managers and my recruiters…. and after a year they even offered me a promotion to a position that paid ridiculous amounts of money." "Ramit, I used your networking email script and it worked! Twice!....The first email got me an informational interview with the president of a powerful local marketing agency….I also scored an informational interview with a high-level executive from a popular TV and print media empire. All of it felt completely natural and honest." "Yesterday my business partner and I had coffee with an amazing VC. Through your material… I've learned a) not to be cowed, because this can be of benefit for him, and b) how to be well prepared, with our update, ample questions, research and reflection on companies he's recommended to us in passing. It paid off. We had a fantastic mentoring session, that 90 minutes was worth more than anything we could have done on our own this year. Now he's making killer introductions for us and wants to keep the connection going regularly." "My network has grown exponentially and I now have people asking me for help where as, just a year ago, I was the one asking for the exact same help." 1. "Ugh, I hate networking"
Me too. Who wants to go into a room and hand out business cards to randos you don't even know? It doesn't feel authentic, and worse, it actually feels dirty. That's not how you build a powerful network. Instead of indiscriminately trying to meet people, I'll help you laser focus on ten VIPs -- just 10 -- and build real relationships with them. The kind of relationships where they'll always be looking out for you, and passing you private opportunities from their expansive networks (just like I did for my intern). And since I've been through it, I've included ready-to-use email scripts to reach out to VIPs and conversational roadmaps so you know what to say in every conversation. 2. "What if I don't know who my 10 VIPs are?" I didn't, either. This course helps you identify who your 10 powerful allies should be...and then walks you through how to connect with them step-by-step. 3. "How does the course work?" Instant Network is an online, take-at-your-own-pace video course. I'll email you every day with new lessons and links to that day's video in the private IWT student site. You'll always be able to access your material via the course emails or directly through the IWT site. I also include supplementary materials, including scripts and drilldown videos. 4. "Is this course live? What if I live in Slovenia? How long do I have access?" This is NOT a live presentation. It's an online video course you can take at your own pace. The course comes with lifetime access so the strategies, tactics, and scripts in this course will always be available to you, ready whenever you need them. 5. "What if I fall behind?" Don't worry -- all of my courses come with lifetime access so you can take a break from the material if you'll be out of town, on vacation, or just get swamped for a few days. Your Instant Network course will still be here for you when you're ready. 6. "Does this work for international students?" Yes! The principles, strategies and tactics for building your own powerful support network are universal. We've had successful student results from around the world. I believe in being totally candid about my courses. Instant Network is not for everyone. Your only reason to connect with someone is to get a single question answered. This isn't Yahoo Answers. This is building relationships with 10 powerful people for years to come. You're afraid of emailing people you want to have a long-term relationship with. This takes work. We'll show you how, and we even provide word-for-word scripts, but if you can't overcome psychological barriers to emailing people, this course isn't for you. You can't commit at least one hour a week to reviewing and implementing the course materials. It's simple: Join the program and try it for yourself. If the powerful mental frameworks, strategies and scripts don't help improve your life in 60 days, I want you to email me. Show me you did the exercises, and I'll give you all your money back. Could you wait until next month to build your personal network? Next year? The truth is, of course you could. That's why so many people do wait -- because building a support network is important, but not urgent. Your world isn't going to fall apart if you don't have a support group. It'll just keep chugging along. So we spend most of our days responding to emails, putting out minor fires, and wondering why certain people get the opportunities that we didn't even know about. How are they sharing their vacation pictures from Venice on a Tuesday? What kind of job lets you travel in the middle of August? How did they get invited to that concert? I thought tickets were sold out. One day, when we WANT that job. Or we WANT to get into grad school. Or we're stuck on a tough problem, and we're not sure who to ask. We look at our phone -- and who do we call? Nobody. ...all because we don't have the allies to help us through it -- because we decided to do it "later." Let's get honest with ourselves. In the last 6 months, have you intentionally, systematically built your own support network? Have you nurtured these relationships? For most of us, the answer is a thudding no. The blunt truth is, our past behavior is an excellent predictor of our future behavior. If you haven't built a support network in the last 6 months, chances are you won't do it in the next 6 months. We know we need a support network. The key is building it before we do, so we're not the annoying guy who only calls our friends when he needs something. You can do this. You can get guidance, advice, and connections from VIPs. They want to help you! Just as they were helped by VIPs in their lives, they want to pass it on to you. But you have to reach out to the right people, in the right way. Unfortunately, nobody teaches us this. They give us vague platitudes and generic advice, but when was the last time you saw a word-for-word script on how to reach out to VIPs? An actual conversational script for how to connect with someone in person? Or a template for how to even IDENTIFY who your VIPs are? Never. But I included all of those things in Instant Network. Because I painstakingly had to learn this stuff myself. And after I went through the pain, I saw the power of having VIPs open their networks to me -- even while I was sleeping. Nobody's born being good at cultivating a support network. I used to be the most awkward guy in meetings ever!! I would talk too much, talk too fast, and talk about odd details that would leave the other person looking at me confused. But over time, I improved. I learned not only the strategy behind finding the right people, but also the social skills to support it. This is a skill you can learn. And it's a system you can follow. The game isn't rigged against you -- but unless you make a change, you'll continue to apply for new opportunities through the front door, while there's an entire game being played around you. You can make just a few powerful connections -- FRIENDS, not just transactional business acquaintances -- that can radically change your professional and personal life. You can get ongoing introductions for the most important opportunities of your life. You can get one-on-one mentorship and "skip the line" access to unannounced jobs and unrivaled perks.